Does anyone know how to pronounce this word? What did I hear? Leeez? Lai-see? Lee-yees? Anyway you might be thinking how come this word sound so familiar. I guess you might have seen their cute bubble hair dye somewhere in stores before? I've always loved the sweet packaging and their unconventional and easy way of dyeing hair. 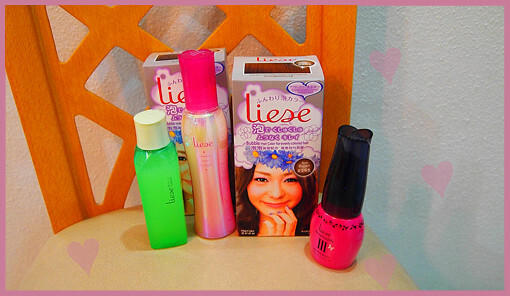 Besides that, Liese also has a whole range of other products that makes it possible for us girls to easily transform our looks by ourselves, and it comes in three simple steps! 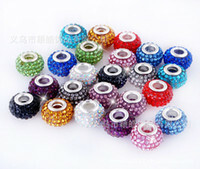 So many different colors to choose from, to suit different personality or fashion style! I really think the bubble concept is genius. I had always used the comb method and always had to trouble my mum to do it for me because I can never do it on my own. It’s troublesome because it requires parting, combing layer by layer, takes such a longgggg time! 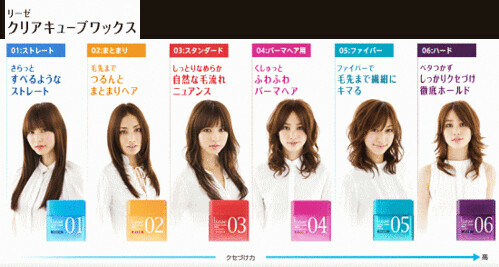 I heard that even if you get someone else to apply for you the hair colorant is still not applied thoroughly on hair. The results would not necessarily turn out evenly and nice. 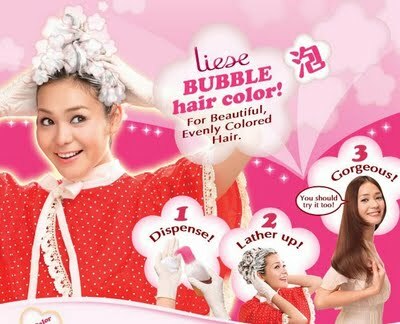 But with Liese Bubble Hair Colour, no troublesome sections required. Just dispense the foam, apply then lather up. That’s it! So simple and fun! Its very easy too – in just 20-30 mins my hair colour is in the ash tone which is very in trend now! After coloring, it's time to give your hair a treat! 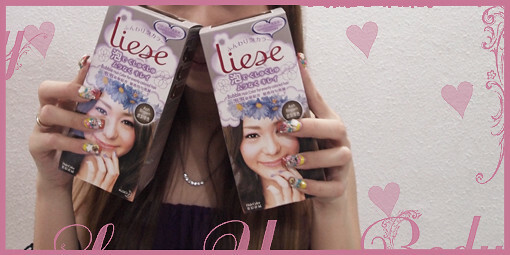 I encounter tangly hair very often, and is glad that Liese is here to help! Liese gave me some cocktail to treat my hair. Sounds great isn't it. Not that cocktail lah! Is these! Non greasy, non sticky serum with refreshing fruity scent! This cute bi-layer serum becomes milky with just shaking and its super interesting! It is able to make the hair less vulnerable to tangling by moisturising and smoothening it..
Another one, with just afew sprays of this smooth cocktail, my hair is easily combed through! Smooth hair cocktail is specially for detangling. Perfect for girls like me who has super long hair. I leave a bottle in the office. Just spray on whenever hair is tangled and it will be smoothen out and beautiful! And now for the styling part! 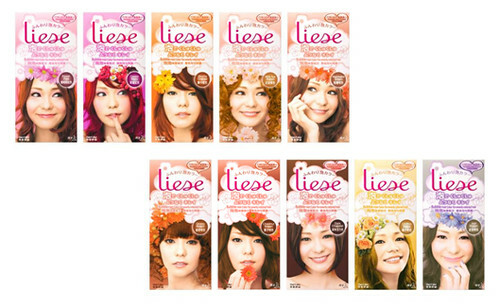 Liese products are numbered according to their holding power, which makes it so much less complicated for consumers. 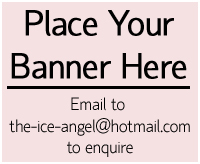 Just select the holding power required for your desired style. Anyway, you will find testers in stores (Watsons and major super markets). So go try it out today! It's so easy to use, you don't have to be a hair stylist to be able to do it! My designing jelly is number 3! Saw my pretty nail art? This special designing jelly is a one touch pump design prevents the product from spoiling my pretty nails! Aren't you in love with Liese already? I know! Because me too! I have became a Liese FB fan and you should too. 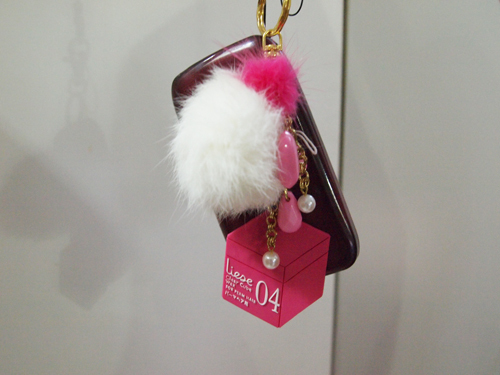 Look at what is currently hanging on my hp! And the exciting part has yet to come!!!!! I will soon be uploading a video of myself doing the 3 steps, Co1or Tre2t Styl3! Do look out for it!! 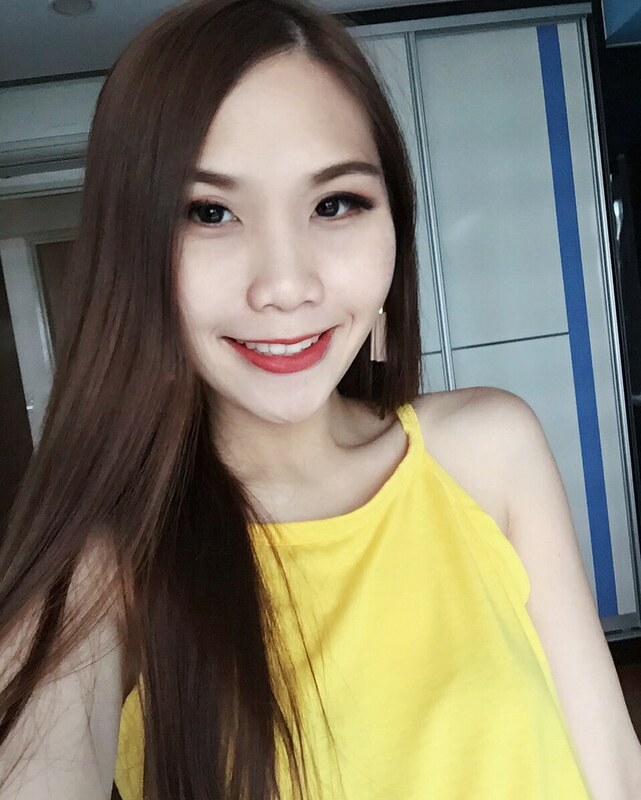 Do you girls have any suggestion on how I should style my hair? I'm thinking of some curls but I also want to style them to look more made up. Or do you have any hairstyles you want me to demo for you all?? Leave a comment with a picture then I'll see if there's any I also like then I go find out how to do and show you all in the video!